Pro Mach has put together the best lineup of packaging equipment brands in the business. This is made exceptionally clear by our lineup of labeling equipment. The Pro Mach portfolio of labeling machinery brands, allows us to label just about every product in every application. ID Technology is the market leader in print and apply labeling, selling more systems per year than the next three competitors combined. With extensive sales and service coverage across North America, ID Technology can take care of customers just about anywhere. The ID Technology product line is built around the model 252, a modular labeling system that can be configured for just about every application. 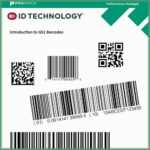 Other ID Technology products include the LSI range of labeling systems such as the Serialization Series designed for pharmaceutical serialization applications and custom LSI machines for just about every job. ID Technology also builds the 9000 Series of simple labeling machines for a wide range of labeling applications. EPI Labelers contributes some of the equipment to the 9000 series and also the unique direct drive label applicators that we use for many applications including applying labels to flexible packaging in both vertical and horizontal packaging machines. EPI Labelers are well known for being simple to use and robust enough to work very well even in the toughest environments. Our Pharmaceutical Packaging Business Group includes two important brands for pharmaceutical labeling NJM Packaging and Weiler Labeling Systems. Both NJM and Weiler are experts in the special requirements of the pharmaceutical industry, and both product lines are very well-established in both small and large pharmaceutical manufacturers. The combined product line includes both rotary and linear labeling machines, both very well proven in the industry and able to be used with the serialization software of choice for drug supply chain safety act compliance. Axon designs and builds a range of shrink sleeve labeling systems ranging from high-speed units for consumer and beverage products to simple lower-cost labeling systems for the craft brewing industry. Axon is a leader in the design of shrink labeling systems and has pioneered the introduction of PackML for machine control – allowing machines on a packaging line to communicate with each other (and with line control systems) and providing a consistent experience for operators and mechanics. Since 1974, PE Labellers has been building top-quality labeling equipment. PE has a wide range of labeling technologies including cold glue, pressure sensitive, hot melt and shrink-sleeve labeling. PE labeling systems are used in food, beverage, consumer products, food and many other industries. PE Labellers has a total of eight manufacturing plants, in Italy and Brazil and distributors worldwide. Why ProMach? With so many choices of equipment and so much expertise built over years of experience in the industry, ProMach has the ability to handle just about every labeling application. Sales and service support for the Pro Mach brands is extensive and our global footprint is always growing. Regardless of whether you work at one of the largest multinational companies or a much smaller enterprise, Pro Mach has a labeling system that is likely to be perfect for your needs. With so much choice, there is no need to compromise on getting the best labeling equipment for your application, whether print and apply labeling for your packaging and logistics, or for high-quality prime labeling applications, Pro Mach has the answer! If you are needing a complete packaging line, or have to upgrade your labeling capabilities Pro Mach can help each step of the way. To get started, talk to your Pro Mach representative or you can contact me at 603-845-9375 (dholliday@idtechnology.com) and I’ll get you to the right person.